I managed 20 chapters, 86 pages and 49.564 words in December! I ended up with flu after Christmas so had to take the rest of the year off. 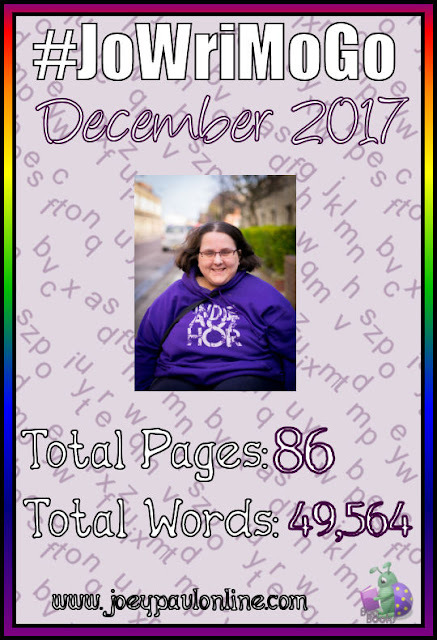 Hopefully 2018 will start with more writing!